This episode, though entertaining and strong at times, spend a lot of time trying to empower and give a “raison d’etre” to one of Batman’s most prominent and classic heroes, the Scarecrow. In the end, however, after the greatness that preceded him in previous weeks, it falls short, feeling weak and predictable at times. Other times, it keeps you watching the screen, wondering what’s about to happen to the characters you feel a connection with, but just that. No punch to the gut, no explosive set of twists…almost nothing that, if you hadn’t seen other Gotham episodes, would give you, as a viewer, a reason to come back and explore its dark alleys and the creepy characters who live amongst them. 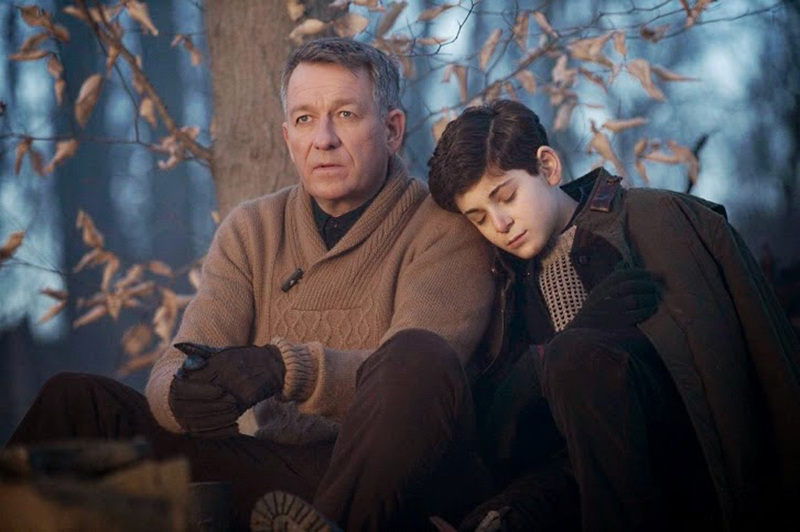 Bruce (David Mazouz) and Alfred (Sean Pertwee) provided some of the strength of the episode, with a personal story involving young Bruce mastering his fears and rage, knowing that he has to continue going on and face the loss of his parents in a much stronger way than he’s been doing until now. Alfred lets the kid find himself and face his fears and demons – the whole episode is really about that, facing fears and inner demons – but, in a perfect touch, he is there in the end. Not to come to his rescue when he is trying to climb a hill with his leg badly injured, as that wouldn’t have taught him any lessons, but to be the strong, comforting, fatherly figure the boy needs. Well done, Gotham, once again you nailed these characters’ dynamics. The other star of the show, Detective Jim Gordon (Ben McKenzie), sees his relationship with Dr. Leslie Thompkins (Morena Baccarin) gets more serious, and by that I mean close and personal. Maybe too close, as Leslie starts working as the new GCPD forensic examiner, after the increasingly more ominous E. Nygma (Cory Michael Smith) managed to get the previous one fired, after a severed body was found in his locker. And good Jim doesn’t seem to enjoy having his girl that close. We’ll see how that front evolves. It was too good to be true. He is better off taking care of the bad guy, like he did with the help of his pal Harvey Bullock (Donal Logue). 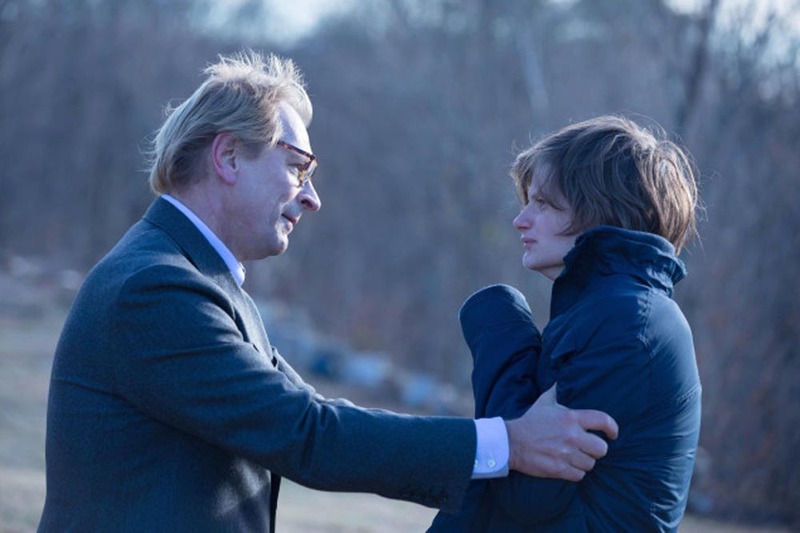 Between the two they track down Gerald Crane (Julian Sands) and his son, who, thanks to his father’s methods, starts being haunted by a creepy living scarecrow – that important piece of the plot, however, felt weak and for an important villain’s origin, could have been handled much better. The Fish Mooney (Jada Pinkett Smith) story, again felt forced, exaggerated or uninteresting. Pick one. And not because of the plot – being held captive by faceless pirates who keep her in some catacombs with a lot of other people – but because of the way it was handled. It is a way to remind Fish and the viewers that even in the face of adversity she is a worthy rival, and one to take into account. Penguin (Robin Lord Taylor) seeking the help of Falcone (John Doman), who then plays with Cobblepot was a nice touch, as was seeing his rival, Sal Maroni (David Zayas), get some of what he wanted from Falcone but – how couldn’t he? – when he threatened a terribly scared Penguin. Good touches, yes, but a weak episode nonetheless. Sam is a passionate comic lover, who since an early age, found himself into the grasp of Marvel titles such as Conan the Barbarian, Captain America, Spider-Man, and, of course, his true love (after his wife Natalia, that is), the Avengers. When he was very little he created his own comic, which thanks to having relatives on the US and other countries, travelled all over the world. Now he is a happy reader. Though looking at his Resume one would think he is the serious kind of guy-Economics degree, Auditor for several years-fun and rhythm flow through his veins, and have been that way since he can remember. Spanish and currently living in Madrid, he loves travelling around the world-and getting comics wherever he goes!!! He has experience managing comic-book related online communities, and during his time on both www.AvengersForever.org and the great, unique www.ComicsBulletin.com he has had the chance to work as reviewer/columnist/interviewer, learning the ropes as he went along. As Comics Bulletin’s Social Media Manager, he devoted a lot of his time to managing and improving the site’s presence on social networks, and on building an active and interesting Community. You can find him as @SamSalama on Twitter, and as Samuel Salama on Facebook.